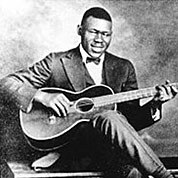 Blind” Blake was an American blues and ragtime singer and guitarist. His first recordings were made in 1926 and his records sold very well. His first solo record was “Early Morning Blues” with “West Coast Blues” on the B-side. Both are considered excellent examples of his ragtime-based guitar style and are prototypes for the burgeoning Piedmont blues.